My SodaStream Beverage Station has been getting lots of use these past few weeks! It seems like I’m always making cold drinks for my kids, John, parents and even the people who are helping to renovate our new home. 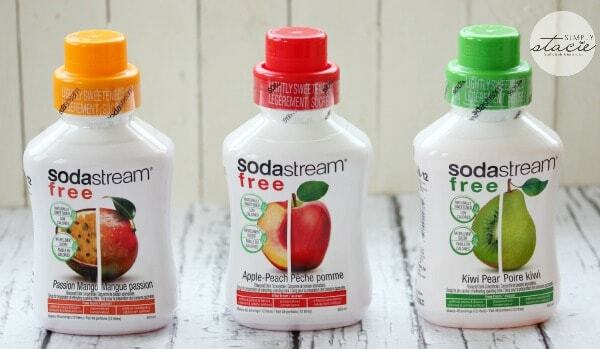 One drink that has been a hit is the new SodaStream Free line which was launched in the Spring. They are refreshing and delicious! Use them in your SodaStream Beverage Station to make a lightly carbonated and slightly sweet sparkling drink. They are perfect for summer to make sure I’m drinking enough water. I always struggle to drink the recommended amount and I appreciate how easy these flavours go down. Also, I like the fact that they don’t contain artificial ingredients and that makes me feel better about indulging in something than plain ol’ water. My favourite flavour of the bunch is the Peach-Mango. One of these hits the spot on these hot summer days! I sometimes drink green tea and was curious to see how it would taste cold and combined with a fruit flavour. Green Tea-Lychee is actually quite good if you enjoy the taste of green tea. It reminds me a little of a flavoured iced tea. My youngest daughter loves the Fresh Lemonade which is no big surprise. She’s crazy about anything lemon flavoured. You could also use these flavours in a recipe for a low-calorie cocktail. I Am Londoner has three low calorie cocktail recipes you can try with the SodaStream Free line up. I’m thinking I need to make myself a Skinny Peach Mojito! 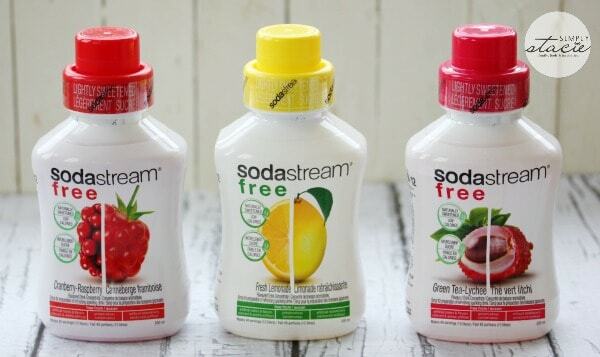 Which SodaStream Free flavour are you looking forward to trying? Connect with SodaStream Canada on Facebook, Twitter and YouTube. We purchased our Soda Stream a couple of weeks ago. We love it. Now I’m looking forward to trying these, especially the kiwi! If I had a soda Stream I would try the lemonade first and then one by one I would try the others and than I could pick my all time favourite!! I am going to have to pick some of these up and try them out with our SodaStream! The first one I would like to try is the Peach-Mango! Thanks for the mention Stacie! Well, now I really need to purchase a Soda Stream lol Thanks for the update on their products! I would like to try the lemonade; although, teas interest me, too. My daughter has been going back and forth on buying a SodaStream. She really wants one and is interested, but worries about it not tasting the same. She wants it for the Diet Dr. Pete. Have you tried that? Her and her father both love Diet Dr. Pepper. These do make nice options. I love my Soda Stream but never purchased the syrups because of the fake sugar or too much real sugar. These are perfect! I must try the Green Tea-Lychee! If I had a soda stream, I would try the cranberry-raspberry first. Lemonade first then peach apple. I look forward to trying “Passion-Mango”. Thanks for sponsoring this great giveaway and for the opportunity to participate. I would like to try the Passion-Mango, Apple-Peach, and the Kiwi-Pear. 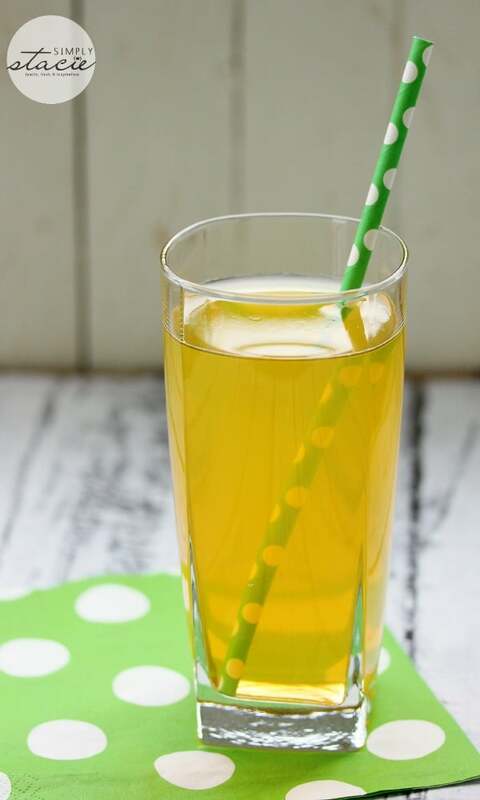 I think it’s great that you can make your own soda that’s free from artificial sweeteners, flavours, colours and preservatives. Thank you for sharing this review. now I want a soda stream even more! I didn’t realize that SodaStream came out with a “Free” line. I would love to try the Lemonade. The Passion-Mango sounds like it would be my favorite!!!!! I would like to try the green tea lyhee! 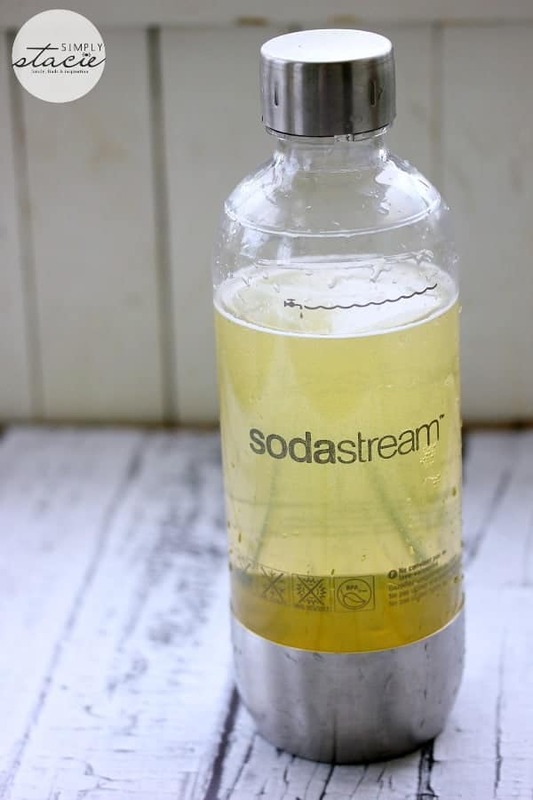 I have been looking at the Soda Stream,maybe its time to get one..
I’ve been wanting to try soda free products, I like the sound of Passion-Mango. I’ve heard soda streams are amazing to own, they seem to be a top selling product! Have been trying to win one of these for almost a year now! Maybe one day soon! !